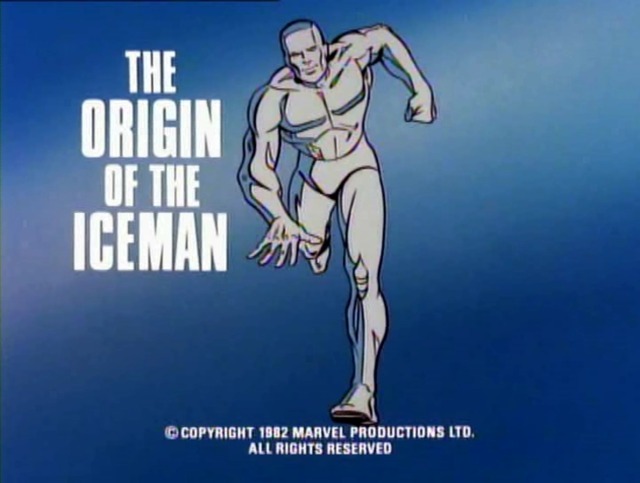 This week’s minorities in cartoons entry is Iceman (real name: Bobby Drake). Iceman first appeared in “X-Men” #1 (September 1963). He was created by Stan Lee and Jack Kirby. A mutant, Bobby and his parents first discovered his powers of ice and snow generation while a youth. (Bobby was from a mixed faith household; his mother is Jewish, while his father’s Catholic.) Eventually meeting Cyclops and Charles Xavier, Bobby soon enrolled in “Xavier’s School for Gifted Youngsters,” and became a member of the very first team of X-Men, alongside Cyclops, Beast, Angel, and Jean Grey (as “Marvel Girl”). Iceman went on to have various adventures, while learning to fully make use of his powers. In 2012, a storyline saw the Iceman from the early “X-Men” run travel through time, along with his version of the original team, to meet the modern-day X-Men. For various (convoluted) reasons, the teenaged X-Men from (in comic-book-time) “about 12 or 13 years ago” couldn’t and wouldn’t return to the past. Thus, they’ve decided to settle into life in the present day. Among other developments, the teenaged Bobby was revealed as being gay. After confronting his adult self about this, we learn that the modern Bobby had been denying this part of himself for years. Outside of comics, Iceman’s been seen in various X-Men media. Shawn Ashmore played Bobby in the various 2000s/2010s X-Men movies. Aside from film, Iceman’s most prominent media appearance was in “Spider-Man and His Amazing Friends.” In this early 80s series, Iceman became the college roommate of fellow mutant Firestar, as well as Spider-Man himself. The three “Spider-friends” fought various crimes and villains around New York. Famous voice artist Frank Welker voiced Bobby.